INDICATIONS AS AT 1 JANUARY 1991 : Treatment of urinary tract infections such as cystitis and pyelitis when due to susceptible pathogens. 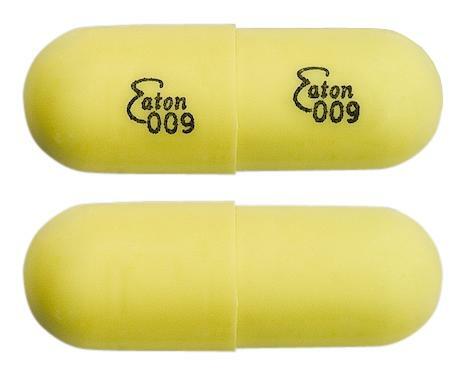 Nitrofurantoin does not reach effective levels in plasma and consequently is not indicated for cortical or perinephric abscesses and in cases of prostatitis. A hard-shell, no. 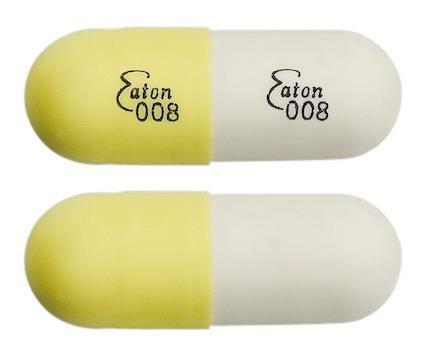 3, locking, gelatin capsule, opaque yellow cap and opaque white body, "Eaton 008" printed on both cap & body in edible black ink.